Never heard of her, but my interest has been piqued. Cool name. Cool hair. The hair story she relays at the end calls to mind the biracial girl who was removed from her classroom. You can read the interview in it’s entirety HERE and/or check out her website HERE. CP: Your prior album, Sankofa, was almost entirely made up of personal confessionals, whileHigh Noon Teeth incorporates more narrative storytelling and poetic metaphor. Why the shift in tone? Brown: Some of the songs on Sankofa I hope to never sing again because they’re just so personal. That whole album was a reckoning of sorts that I felt like I had to go through to get to where I am now with my music. I was definitely writing much more imaginative songs this time around, rather than just about my personal experiences, and that was new for me. I talked about metaphors in songwriting a lot with Alexei [Casselle of Roma di Luna] and Joe [Horton, a.k.a. Eric Blair of No Bird Sing] while I was writing the album because that was all new terrain for me, and they both write songs just swarming with beautiful images. I don’t feel the need to be as blatant as I used to. This record was really all about pushing outside of my normal comfort zone and trying to take things to the next level creatively. 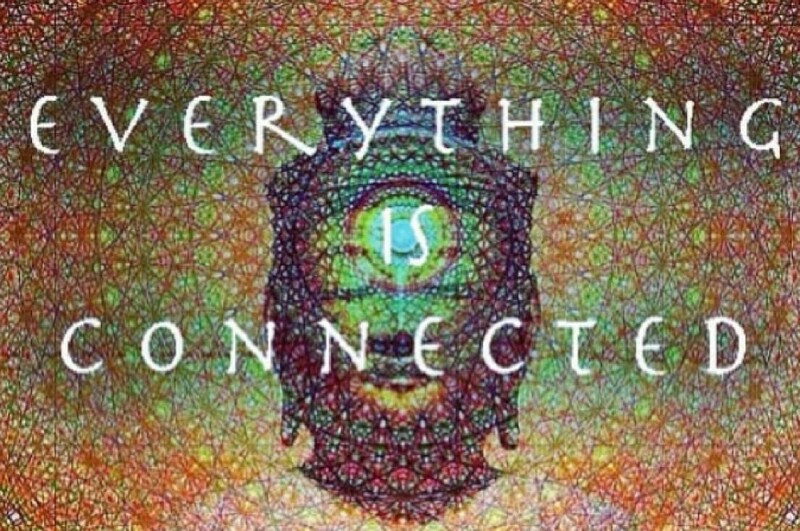 Hopefully fans that have followed me for a while will appreciate that things are changing. CP: One holdover from Sankofa is the presence of a song about your childhood, growing up biracial in small-town Tennessee (on Sankofa it was called “Bluegrassy Tune”; it’s present onHigh Noon Teeth in a new arrangement titled “Bound to Happen”). It’s an unflinchingly intense narrative (“Well my daddy was a black man and my mom blond hair, blue eyed/You know people would stare at us children/Like we were some suspicious kind”). What led you to feature it again this time around? Brown: I decided to record that song the very last day I was in the studio for Sankofa when it was still super new. As I was playing it with the band, it rearranged itself and fine-tuned itself so I wanted to present it again. It’s an important song to me. At least once a week probably I still encounter some stupid racial situation. People ask me all the time if my hair is real, and I was at a show where a woman actually grabbed my hair and jerked it out of nowhere. It caught me so off guard and I remember going home and crying and being so angry. I felt conflicted, part of me wanted to educate her and part of me wanted to smack her and say, “How dare you touch me!” So the song is sort of my way of reaching out and taking the educational route and saying this is who I am and what my experiences have been. Depictions of mixed-race people are very popular in the media now and it’s a little strange for me because I’ve always looked this way. Growing up I was constantly made fun of for my hair; apparently now it’s a cool look. This entry was posted in biracial, hair, music and tagged biracial, biracial hair, chastity brown, hair, mixed race, music by Tiffany. Bookmark the permalink. 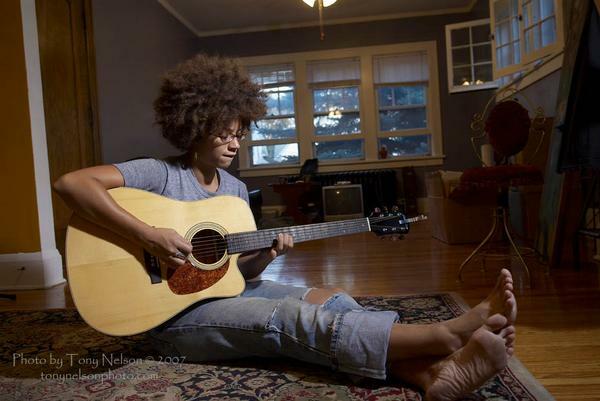 I want to be this girl when I grow up: big ‘fro, guitar and bare feet. I recently grew out my relaxer and I’ve been waiting for the moments when people randomly start touching/pulling my hair but they haven’t come (maybe I don’t look approachable enough? LOL), but I can’t believe that she has any desire to teach anyone who would grab her hair. Even if it was fake, why you are grabbing any part of me?! On another note, I’ve been trying to form some coherent thoughts around this idea of “teachable moments,” that place the burden on the victim of some racist/sexist/classist/ableist/whateverist remark or action. whitney! hi! i’m glad to have discovered YOU 🙂 thank you! I’ve also experienced the stares, the comments, and people asking if my hair is real. I’m sorry, but I probably would have slapped that woman. You should NEVER violate somebody else’s personal space by touching their hair without permission.